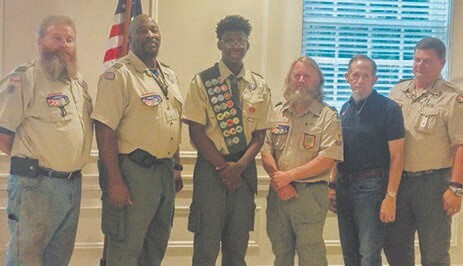 Dylan Carter, a member of Boy Scout Troop #210 has completed all requirements to reach Eagle Scout level. He completed the project of reorganizing and rearranging a cluttered storage room at Tremont Temple Missionary Baptist Church. The room is now more accessible and functional for the ministries due to Carter’s efforts. He has been an active Boy Scout since 2010. He is a 2017 graduate of Savannah Early College and will be attending Savannah State University in the fall. also participates in the Mime Ministry at his church. He is a Top Teen of America and former Drum Major at Savannah High School. Carter excelled as a member of STEM and the Spanish Club. He made the Honor Roll throughout his high school years. Carter is the son of proud parents, Dea. Joseph, Jr. and Rycal Carter. 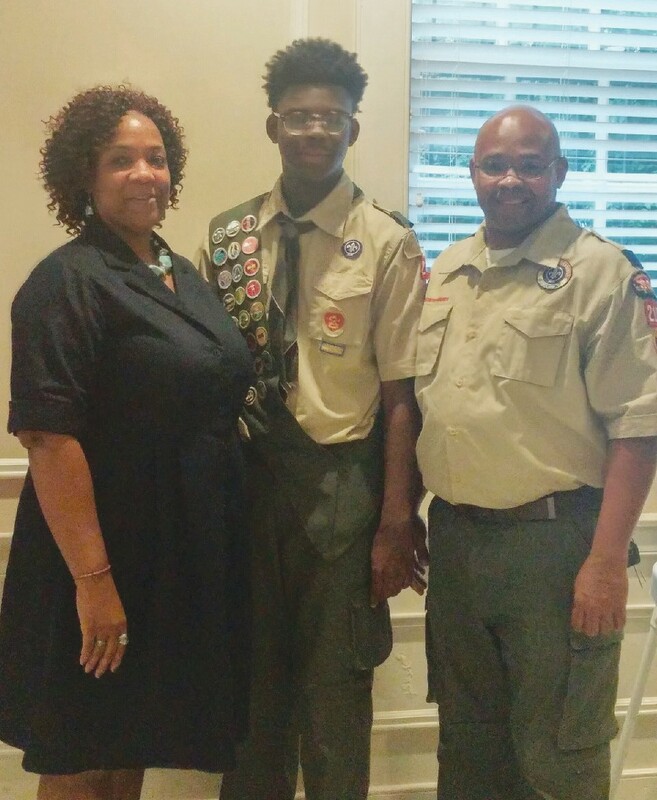 His father, Dea Joseph Carter, Jr. is Cub Scout Troop Leader of the #210. His faternal grandparents are Dea. Joseph, Sr. and Julia Carter. The Carters are members of Tremont Temple Missionary Baptist Church. Congratulations to you Dylan. I wish you many more great things ahead. Just trust in God and in your heart.